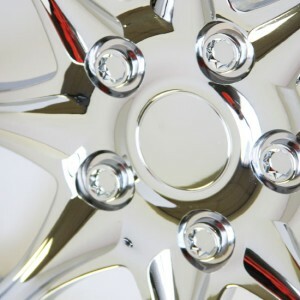 Click the button below to add the 14" Hubcaps Chrome Rim Wheel Covers Hub Cap Set New 530 to your wish list. 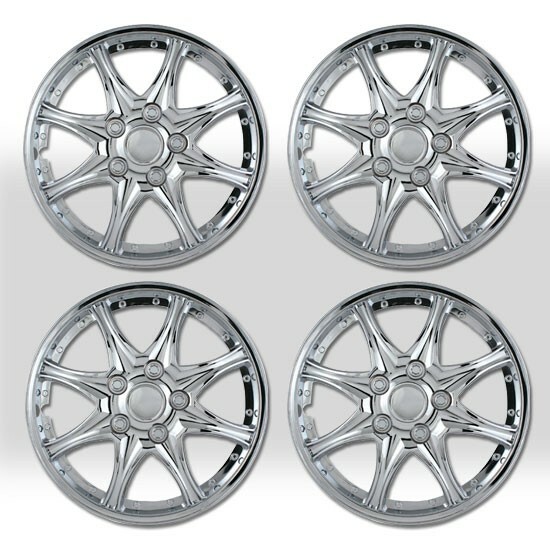 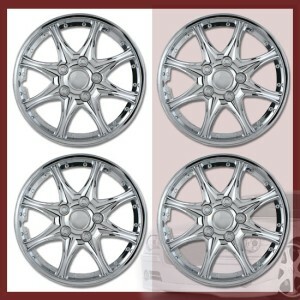 This is a set of (4) four pieces universal style full-faced chrome wheel covers that are designed to go on vehicles with 14" steel wheels. 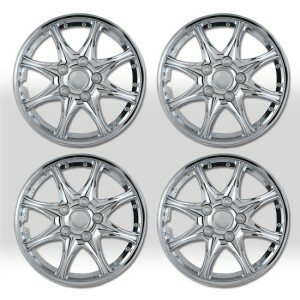 Check out the photos for this product (select the smaller images under the main picture). 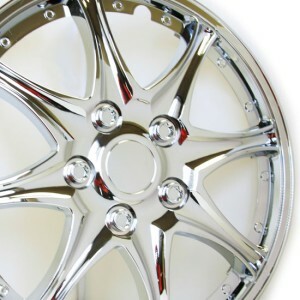 These are not used factory hubcaps, they arebrand new replica hubcaps. A replica or reproduction wheel cover is manufactured to closely resemble a factory original equipment hubcap at a fraction of the cost. These hubcaps were constructed ABS material and made by reputable manufacture to ensure the best quality. 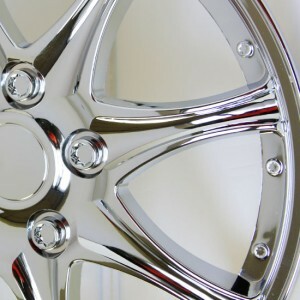 ABS hubcaps feature rigidity, strength, and high resistance to salt, chemicals, heat, cold, and impact. 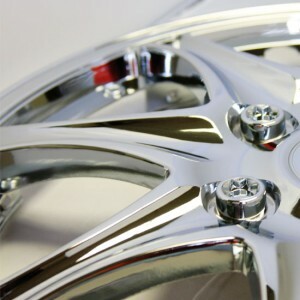 They have excellent resistance to breaking, scratching and chipping, even at low temperatures. 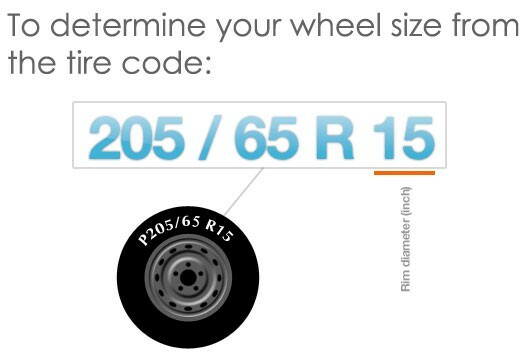 Not to mention, ABS parts weigh only a fraction of their steel counterparts! 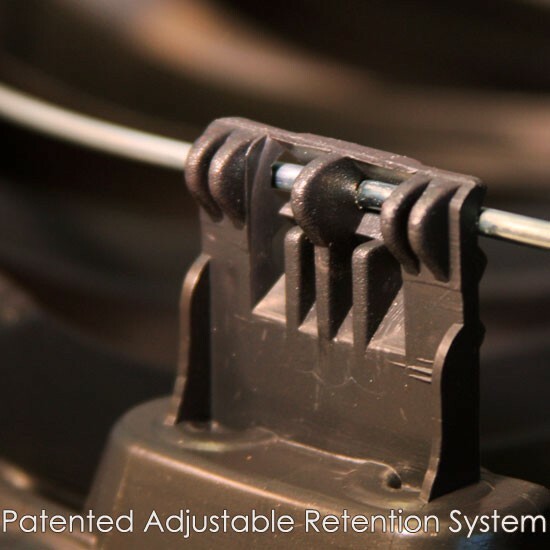 All of these qualities combine to make ABS an ideal material for hubcaps, wheel covers, and many other automotive parts!